Berger, Maurice. Repetitions: A Postmodern Dynamic: Carl Andre, Jonathan Borofsky, Hanne Darboven, Donald Judd, Sherrie Levine, Vincent Longo, Robert Swain, Andy Warhol, Sanford Wurmfeld exhibition catalogue, New York: Hunter College Art Gallery of the City of New York, 1985. Brown, Gordon, “Art Reviews.” Arts Magazine, May, 1976: 29. Leslie, Candace. “A Tale of Twin Cities”. Amtrack Express, Oct./Nov.1985: 41-45. The Corcoran Gallery of Art. Thirty-First Biennial Exhibition of Contemporary American Painting. Washington: The Corcoran Gallery of Art, 1969. Dantzic, Cynthia Maris. 100 New York Painters. Arglen, PA: Schiffer Publishing Ltd., 2006. Darien News 7 Sep. 1978: sec. 2, p. 16. Davis, James W. “Unified Drawing through the Use of Hybrid Pictorial Elements and Grids.” Leonardo, 5.1 (Winter, 1972): 1-9. “Don't Close the Door on Your Bedroom”. Glamour, June 1976: 174+. 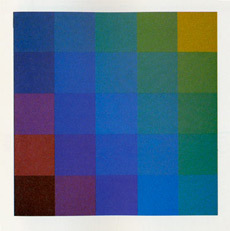 Dreiss, Joseph, “Art Reviews.” Arts Magazine, Dec. 1974: 14-15. Edwards, Susan, Vincent Longo, Maurice Berger, and Rosalind Krauss. A Debate on Abstraction. New York: The Bertha and Karl Leubsdorf Art Gallery at Hunter College of the City of New York, 1989. Eickel, Nancy and Lee A. Vedder, eds. The Forty-Fifth Biennial: The Corcoran Collects 1907-1998. Washington D.C.: The Corcoran Gallery of Art, 1998. Fehr, Michael, and Sanford Wurmfeld, eds. Part I: Seeing Red - An International Exhibition of Nonobjective Painting, Bertha and Karl Leubsdorf Art Gallery; Part II: Seeing Red - Contemporary Nonobjective Painting, The Hunter College/Times Square Gallery, 2003. Also: Seeing Red. 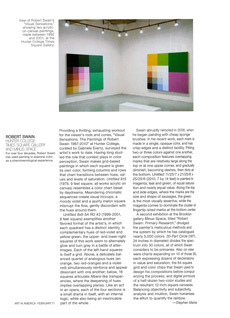 On Nonobjective Painting and Color Theory, Exhibition catalogue, Cologne: Salon Verlag, 2004. Gibert-Rolfe, Jeremy. "Reviews." ArtForum Dec.1974:71. Gold, Barbara. "Corcoran Biennial: New Sensibility in Washington." Arts Magazine April 1969: 28-31. Goossen, E. C. The Art of the Real: USA 1948-1968. New York: The Museum of Modern Art, 1968. Goossen, E. C. “The Art of the Young, Not to Shock but to Make Real,” Vogue Magazine, August 1968: 50. Hispard, Marc. “The How To of Bringing a House Back to the Land.” House & Garden Apr. 1972: 126-31. Hunter College MFA Faculty Artists 1981-1993. New York: Hunter College Art Galleries, 1993. Huxtable, Ada Louise. “Design Notebook: The Unreal World of Waiting Rooms.” New York Times 5 March 1981: C1+. Katz, Paul and Ward Jackson, eds. Art Now: New York Nov 1969. Keffe, Jeffrey. ArtForum May 1979. Khemsurov, Monica. “Working with an Architect.” Domino Oct. 2008: 134-39. Lubell, Bell. "Arts Review." Arts Magazine Sept. 1978: 35-36. Martin, Julian S. “The Sound of Speakers.” GQ Oct. 1972: 113-20. Massie, Rebecca. The Sydney and Frances Lewis Contemporary Art Fund Collection. Richmond, VA: Virginia Museum of Fine Arts, 1980. McCary, Susan. ”'Light painting' to Mark Local Ocean Spray Plant.” Sulphur Springs News-Telegram 30 March 1983: 1. McDarrah, Fred W. The Village Voice 19 September 1968: 19. Meyer, James. 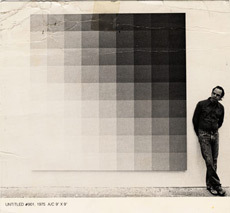 Minimalism: Art and Polemics in the Sixties. New Haven: Yale University Press, 2001. Morgan, Robert. The Optical Edge. New York: Pratt Manhattan Gallery, 2007. Muck, Gordon. “Art News and Views”. Syracuse Post Standard. 6 May 1974. Nordland, Gerald. Fourteen Abstract Painters. Los Angeles: Frederick S. Wright Art Gallery, 1975. Paintings and Sculpture: 8 New York Artists. Jacksonville, FL: Art Sources, Inc., 1982. The New Criterion, November 2010. Pettigrew, Jim Jr. “Corporations & Collecting.” Sky, February 1986: 11-17. Ratcliff, Carter. “New York Letter.” Art International, Jan. 20, 1970: 96. Rosenstein, Harris. "Art Reviews." Art News Dec. 1969:72. Severson, Cyndy. “The House that Art Built.” Texas Monthly Sep. 1977: 100+. Smith, Roberta. "Reviews." Artforum May 1976: 65-66. Tucker, Marcia. The Structure of Color. New York: Whitney Museum of American Art,1971. Wald, Ann Himmelberger. “The Art of Business.” Northwest Orient Mar. 1983: 34-40. Wurmfeld, Sanford. Art from the City University of New York. Shanghai: 1986. 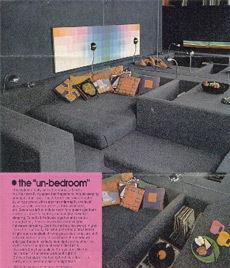 “Xerox Art: A Case Study.” Interior Design Nov, 1979: 206-07.
Zimmer, William. "Art Reviews." Arts Magazine Sep. 1977: 33-34. ©Copyright Robert Swain. All rights reserved.